I have some exciting news, friends! This week I'm giving away a Craftsy photography class! 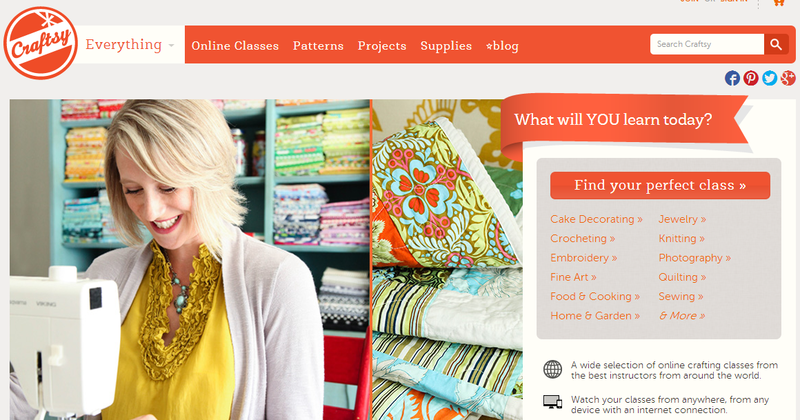 Have you heard about Craftsy? Some of the top experts at craft, arts, and photography have collaborated to create online classes so you can up your knitting/cake decorating/artisan bread baking/photography skills (and more!). I'm working through their mini class on family portraiture, and I'm enjoying the format of video lessons presented by true professionals in a welcoming way. The classes are inexpensive ($30-60 roundabout) and manageable to complete in a short amount of time. 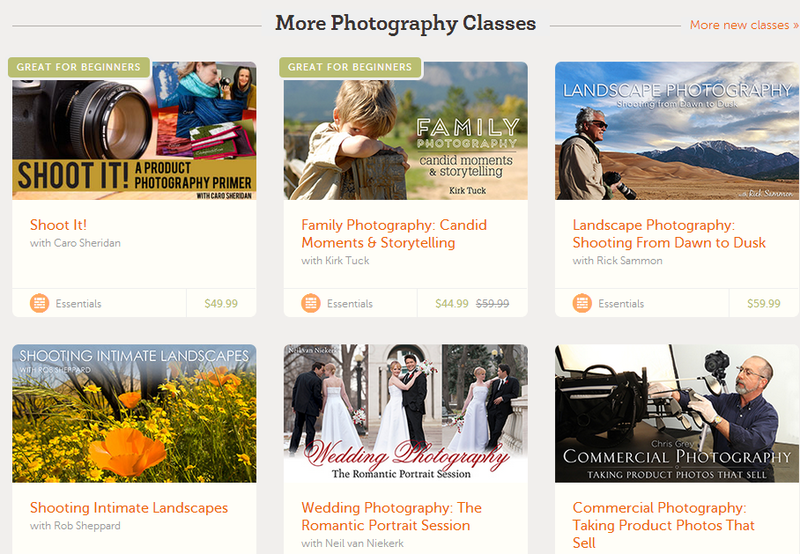 Here are just a FEW of the amazing photography classes available on Craftsy. I'm particularly taken with Shoot It! A Product Photography Primer. Since I'm currently learning how to take my photography to the next level, I thought I'd let you learn with me! My word for the year is BETTER and Craftsy classes are a great place to start. Ends Friday, March 14, at 12 midnight eastern time. One entry per person, please. Have fun gettin' crafty and I can't wait to see who wins! PS.> This post contains affiliate links.